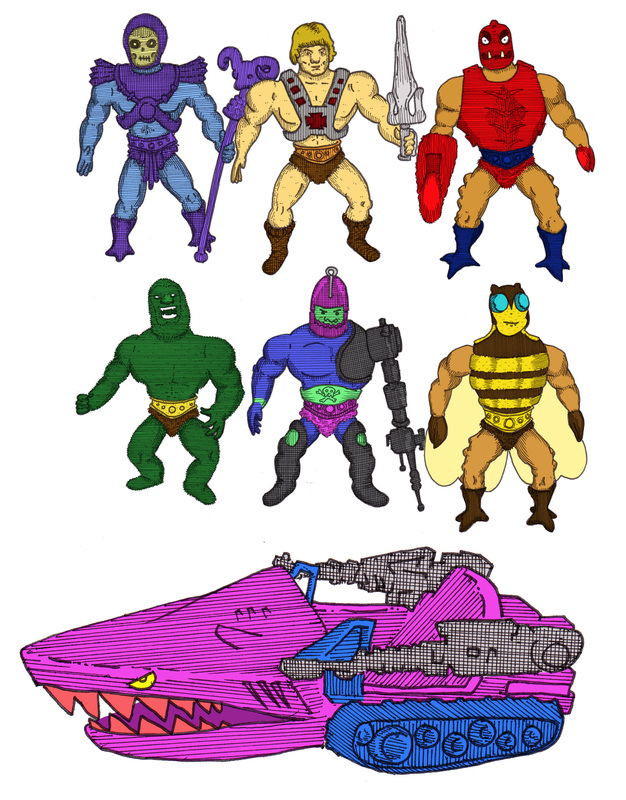 I have finally finished coloring in the Masters of the Universe. I think these are pretty cool by themselves. 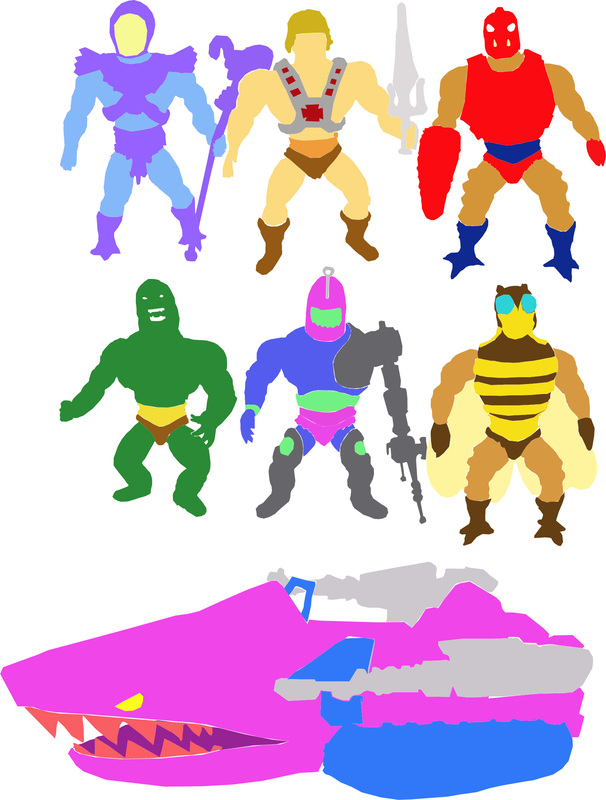 This entry was posted in comics, design, illustration, silk screen and tagged 80s, 80s cartoons, 80s toys, art, buzz off, cartoons, clawful, comics, funny, he man, illustration, land shark, masters of the universe, moss man, peter glanting, photoshop, skeletor, toys, trapjaw by pgglanting. Bookmark the permalink. Man, this brings me back to my childhood!